But what is a leader? There are a lot of definitions out there, depending on who you ask. In my opinion, however, a leader is someone who can help build a team and empower them to both grow individually as well as accomplish their goals. (Obviously it’s more complicated than that, but this works for the purposes of this discussion). A leader isn’t, however, always the person in charge. When it comes to gaming, I’ve never gotten too into one-on-one competition. When I’m playing with others I always prefer to play on a team, together, against others. For sports games I’ve always preferred playing on the same team, against the computer (or other player teams). Fighting games? I could never get into them very much. You see, as much as I like to push for success, I’ve never been huge on competition – at least not individually. Instead my interest has always been in what you can accomplish together as a team. Still with goals, and often in competition, but above all, how do you get together a group of people and have them all bring their strengths to the table to create something that can break past any barrier? Two of the more recent games I’ve spent a lot of time on are Overwatch and Plants vs. Zombies Garden Warfare. They’re both team-based “shooters” (although Plants vs. Zombies also has every-man-for-himself modes). 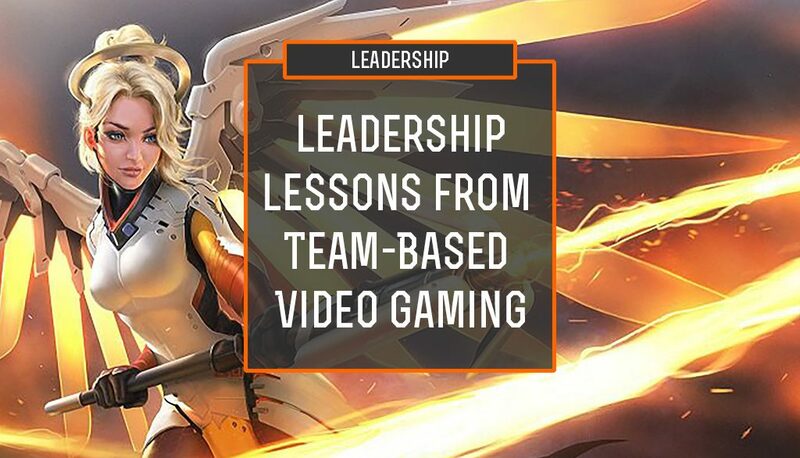 But what I’ve noticed in my play style is that it matches my leadership style – and that means I’m not always the one out there on the front lines. Instead, I play “support” – something like a healer, or one who can provide cover as the others go into battle. Isn’t that really what leadership is? Providing the support for your team so they can do their thing? It’s in identifying the unique talents of your team and pushing them to work together to accomplish the goal that leadership truly comes through. Through the support of a leader, the rest of the team can have the confidence to push forward and do things they might not have done on their own. And when they’re damaged? They’ve learned from their mistakes, but you’ve also helped them back up so they can go back at it. Of course, being there for support in silence isn’t always enough. There’s also communication. A great leader, just like a great team-based player, isn’t just going in guns blazing. Instead, as they hang back and provide support, they’re also surveying the battlefield, relaying any useful information to the rest of the team so they can adjust their strategies on the fly. But most of all, being a leader doesn’t mean being the one who gets the medal for first place. More often than not, you’ll end up in last on the scoreboards – but your team will win. Leadership doesn’t look for the individual glory, but instead for the team’s success. And when the members of your team do score high? When they’re the ones “on top?” You celebrate the hell out of them. You may not get all the credit, and you might even look like you’re “not doing anything.” But sometimes that’s what a leader does. They don’t look like they’re doing anything. But in the background, they’re secretly behind it all.